Demystifying Real Estate Investment. The real estate world uncomplicated. Jack Butala: Demystifying Real Estate Investment. Every Single month we give away a property for free. It’s super simple to qualify. Two simple steps. Leave us your feedback for this podcast on iTunes and number two, get the free ebook at landacademy.com, you don’t even have to read it. Thanks for listening. Jack Butala: Welcome to our show. 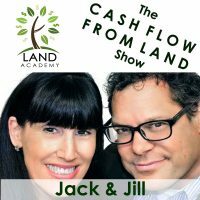 In this episode, Jill and I talk about demystifying real estate investment. This comes up every single day. Jill DeWit: It’s a big word. I’ve got to write this down. Jill DeWit: Let me demystify this. Do you believe this show is number 300? Jack Butala: No, I just saw that. Jill DeWit: Right. How many did we on the other one? Jack Butala: A lot, and they were hours long. We’ve done probably close to 400, maybe 350 for sure. Jill DeWit: Do you remember those shows, too, like we talked. We would go 45 minutes. Jack Butala: People liked that. Jill DeWit: I know, how did they hang in there with us? I would get bored after 45 minutes. Jack Butala: Oh, 45? You’re bored after 30 seconds. Jill DeWit: Oh, thanks. I meant of me. Jack Butala: I get to tell him it’s not about land at all. It’s about what Jill’s wearing. Jack Butala: It’s about [crosstalk 00:01:26]. Jill DeWit: Fingers in the screen. Jack Butala: Yeah. Fingers in the scene. Jack Butala: Fingers in the scene. Jill DeWit: Yeah. 300, I’m just thinking how … Wow. We still have not ran out of stuff to talk about. Jack Butala: No, because you’re interesting. Jack Butala: I’m the emcee of your life. That’s what this show is. Jill DeWit: You know what? I like that. I’m good with that. Jill DeWit: You’re the emcee, and then the person following behind me with a clipboard, I’m set. That’s good. Jack Butala: Before we get started, let’s share some interesting stuff. Oh, I’m sorry. Let’s take a question posted by one of our members on successplant.com, our free online community. Jill DeWit: Even though we’re 300 shows in, we can’t quite remember the script. Jack Butala: No. Even though it’s right in front of us to read, we can’t get that right. Jack Butala: Yeah. What this tells me, I think, is that the county never scanned in their plat maps. If it’s that bad, if it’s that rural, here’s the good news. Nobody has purchased properties in this county for a heck of a long time. If you’re close enough to the county, Ted, go over there. Take the purchase agreements that are signed, that you got back, and do some research. Sit down, like it’s 1943. Sit down, and pull up plat maps and take a look. Bring your computer, and look it up on Google Earth. That’s the good news. Jill DeWit: A little extra work on the front end engineering, but I think you’re right, Jack, because that would scare some people away, Ted. It’s making you think twice about it. That means you need to power through. That means you now know you have less competition, and you need to do this. Jack Butala: Well, none. You have no competition for this asset type. The fact is, I don’t know. I would of answered them straight up, but I just haven’t gone into really cross check through databases. I’ll tell you right now there are several counties in Arkansas that, not only do they not have a website or GIS, but they actually are not computerized, believe it or not. Jill DeWit: I’ve run into … Go ahead. I’m sorry. Jack Butala: No, it’s okay. It’s by choice. It’s not that they don’t want to. They want to do that. Texas, same thing. A lot of Texas property places … I think that’s probably what you’re going to say … they only work three days a week because they have other jobs, you know? Jack Butala: They’re so small. Jill DeWit: They’re so small. They maybe record something a couple times a month, you know, kind of thing. I’ve had counties in Texas where the recorder doesn’t even have a phone number. I was calling the one general courthouse phone number, and you get transferred to Betty when she’s in, kind of thing. Good luck finding her. Jack Butala: Yeah. Betty has absolute power, too, I bet. Jill DeWit: Oh my gosh. It’s hilarious. Again, when she’s in, Betty wears six hats. Betty is the sheriff. Betty is the recorder. Jack Butala: That’s what I mean, judge, jury and executioner. Jill DeWit: Yeah, that’s true. She’s the judge. She’s the orderly. Betty does it all. Jill DeWit: Yeah. That’s not a bad thing. You know what? I’ve got to tell you. I have also used this as a sales tool. I have told people considering in the area, I’ve said, “You know what? Talk about a good place. I mean, everybody leaves everybody alone. Good luck finding somebody in the county. If anybody had a problem with what you’re building out there, it’s going to take them six months to find somebody to even complain to.” You know what I mean? They’re like, “Oh, yeah this is a good thing.” Seriously. Depending on what you want to do, it could be a good thing. Jack Butala: It’s hard to convey what goes on in this business because no one believes us, but yes. Jack Butala: The other thing too, Jill, is I look at it … You and I are the same about this. All I ever see is opportunity. I don’t see too much bad stuff out there. Jill DeWit: You’re telling me, “Buy it, buy it, quick, run to the bank.” I’m like, “Are you serious? I’m running to the bank over this purchase?” You did, and as it all went through I went, “Oh, you were right.” Now I tell people that. Jill DeWit: That’s part of our topic. Jack Butala: Yeah, okay. Let’s get to the topic. Jill DeWit: Yeah, we can call this the topic too. Jack Butala: If you have a question, or you want to be on the show, reach out to either one of us or anyone actually on successplant.com. There’s lots of people in there that are killing it. They’re doing deals and happy to answer your questions. 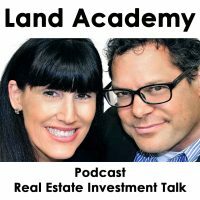 Today’s topic: demystifying real estate investment just like we were talking about. Jill, let’s flip it around. You know how like there’s some stuff in your life, it’s just so obvious to you that you can’t believe that other people don’t see it clearly? What don’t I see clearly, and you’re shaking your head going this is so simple I don’t get it. Does it shock you that I can’t read your mind? Jack Butala: Most women are shocked that men can’t read their minds. Jill DeWit: No, it doesn’t shock me at all. There’s a lot of things about you specifically that do not shock me. I’m sure the reverse is true, so it’s all good. There’s a lot of things about men in general that do not shock me. Even in this day and age and the internet, I am not shocked. Anyway, that’s a conversation for my girlfriends later. Jack Butala: Yeah. It is. Jill DeWit: Where were you going with that? Jack Butala: Today’s show is about demystifying real estate investment. I think there’s a lot of people that just say, “Gosh, there’s no way I could do this. It’s too complicated,” or there’s some reason that’s looming in their head. I came up with this topic awhile ago because I have been baffled, and I no longer am baffled at all, but I’ve been baffled in the recent past about social media. Remember, there was a time where I was like, “Oh, let’s just get the kids to do this.” It’s not that complicated. You have to talk to people. Answer their questions. Get yourself out there. If you’re an ultra-boring, terrible person, social media might not be for you, but if you’re horsing around all the time having some fun, might as well do it online. It works. Jack Butala: I have a short list of things that I think people get caught up … I need a ton of money. That’s number One. Jack Butala: I’ll tell you right now, there’s way more money out there than talent. This is what we teach, learn how to source great real estate deals. Learn how to be a bird dog. The money will find you. Believe me. You do one deal where it’s 40% of its value, people are going to find you to try to get you to do the next deal, find the next deal. It’s a lot less about the real estate and more about … Here’s a demystifying topic, driving for dollars and finding a dilapidated house. Silly, silly, silly, silly. Jill will tell you about it. Why is that silly Jill? Jill DeWit: I hate that. It’s such a waste. Jack Butala: The house is perfect. You’re not looking for a piece of real estate. You’re looking for a situation. You’re looking for a very motivated seller. Could be because somebody died. Could be for a million reasons. You don’t know, but somebody gets an offer in the mail the next day and they’re like, “What? Absolutely I want to do this deal. I don’t even want top dollar by any stretch. I just want to be done with this thing.” It has nothing to do with whether it’s dilapidated or brand new or anything else. It’s the situation, not the piece of property. Same situation with our assets. Jack Butala: You don’t have to know a lot about real estate, about this. You just have to understand that, getting a lot of offers out there, and then dealing with it, and managing them. That’s what you need to know. Chances are, you’re doing that in your job, already. You’re managing people. You’re managing stuff. That’s what this is. Go ahead. Jill DeWit: I have two that I wanted to add. I didn’t know if you … It sounded like you had a list. Do you have a list? Jack Butala: I do, in my head, but you always bring a very … Go ahead. Your stuff’s better than mine almost always. Jill DeWit: People go, “Oh. Yeah.” Then, you covered the money, which I get a lot. I love that you brought that up. The third thing that I get, I think a lot is, not only who would buy this asset? Who would sell that asset? You were describing the Driving for Dollars. Why would that person next door with, gosh, the white picket fence, and nothing’s falling apart, what to sell? You don’t know. There’s some situation in their life. I have to explain that to people. There are people all over. It’s funny. Once you start talking to people and they explain it, they go, “Oh, yeah, like my parents.” I’m like, “Yeah.” They’re like, “My parents are trying to downsize, right now. They need a da, da, da, da, da. We all went to college, da, da, da.” I’m like, “Bingo.” I said, “I bet your parents don’t have a mortgage, do they?” They go, “Uh, yeah, no they don’t.” I’m like, “Um, hello,” and they go, “Oh.” Light bulb goes off. There are people out there who want to sell. They’re waiting to hear from you. Then there are plenty of people who want to buy. Again, waiting to hear from you. Jack Butala: Well, we can. Jack Butala: … if you want to eat a cheesecake, eat it. Jill DeWit: Well, I mean, I don’t think that’s a bad philosophy to go by. Jack Butala: Yeah, I mean, I don’t either, but maybe sometimes, there’s other people in your life. Jill DeWit: Hey, wait. Nike did it before I did it. Jack Butala: Oh, then it must be right. Jill DeWit: The it must be okay. Jill DeWit: Anybody still listening. Jack Butala: If there’s mystical things out there about real estate investment, let us know a success plan. I’ll address them one-by-one. Jack Butala: I’m telling you, right now, there’s nothing that you can’t overcome in a couple of weeks. I’m really serious about that. Jill DeWit: Mm-hmm (affirmative). You know, the only people, when I’m in SuccessPlant and I see some of the questions, and people getting hung up, it’s like it almost seems too easy, that they can’t believe it, so they’re creating their own obstacles. Jack Butala: Well, I think absolutely, Jill. I don’t think this is just real estate. If that’s the kind of person that’s creating their own obstacles, they’re probably doing it with a lot of other stuff, too. Jill DeWit: Right. Can I give you an example, because this comes up, and I wanted to just tell this to everybody. Jill DeWit: I see people coming along and they’re doing great, and like, “Oh my gosh, I’m making money. I must be doing something wrong.” They think like they’re stealing or something. Jack Butala: It’s guilt. Yeah. Jill DeWit: One of the red flags they come up with is like, “Oh, no. I must not be paying taxes, or doing taxes right, or anything like this.” It’s so funny because you and I tell everybody the same thing is, “Let’s not worry about that. Sit tight. You’re going to hire an accountant, here, at some point. You know what? You can afford it. They will do it all right, and all perfectly, and everything’s okay.” They almost have to process that and go, “Oh, okay. I guess I can see that.” Yeah, it’s that easy. Jack Butala: Somewhere in this country, there’s this notion that you have to be dishonest to make money. I don’t know where that ever happened. Jill DeWit: Or you’re cheating or something. I know. Jack Butala: Yeah, you’re cheating, or you’re stepping on someone’s head to pull yourself up. Jill DeWit: And sending them the cash when nobody wanted it. Jack Butala: Yeah. That’s the other thing. You know, I thought about that recently. I mean, really think about it. We’re not like selling anything. We’re not like sending somebody a letter and saying, “Hey, you want to buy this thing you don’t need?” We’re saying, “Hey, do you want me to send you a check for that thing you’re not using anymore?” I mean, what’s better than that? We’re sending you money, not asking you for money. Jill DeWit: Jack, you just brought up a really, really, really good point that I want to stress, because that is one of my pet peeves. Who we are, and what we do, and how we share with everybody is, you’re sending legitimate, real, professional, nice offers. You’re not fleecy, because there’s people out there that are … It drives me crazy … saying, “Oh, you’re in a back tax situation. You’d better call me, or it’s going to go back, and you’re going to get nothing.” There are people out there that do that, and that makes me so angry. When I see those, and I hear about it, you know, it just ugh. I can’t stand it. Jill DeWit: I wanted to clarify that. Like so your friend, you know, that you were talking. I don’t know who it is, but that’s not us. That’s the deal. They’re like, “Ah, thank God.” You know? Jack Butala: We don’t mail property … We don’t mail offers to people with back taxes, anyway. Let me be super clear. That has nothing to do with our business model. Both of our main competitors, that’s what they do. We don’t do that. Jill DeWit: Yeah, they do seek them out. I got to say, that could be a little bit of a going at it, not the nicest way. Jack Butala: I mean, I don’t think [crosstalk 00:19:09]. Jill DeWit: We send everybody an offer. Jack Butala: I don’t think there’s an ethics issue. I just think that what you’re doing, is you’re seeking out, intentionally sending letters and offers to people who have problematic property. It’s just like what you said about Driving for Dollars. Why would you mail a dilapidated house? There’s problems there. There’s a reason that that’s happening. Just send everybody a letter. It costs $0.40. With our program, it costs $0.41 to send a letter out, to get it to their door. Way cheaper than the price of … $0.42, way cheaper than the price of a stamp. Jill DeWit: I don’t know what it’s going to be. Jack Butala: You know, why would you just limit yourself to problematic property. I think that’s a personality type, also. “Oh, I’m not good enough. I only want the junk at the bottom.” No, no, no. Jack Butala: You want the best stuff for the best price. Raise your head up, stand up high, and kick it. Jill DeWit: Thank you. This is a soap box topic for me, man. I’m like, I get really passionate about this. Jack Butala: I knew it would be. Jack Butala: Well, it’s just how you describe it to people who are new. That’s okay. I mean, I was new, too, once. Jill DeWit: I want everyone to know that this is not crazy and not hard. You can do it. Be smart about it. Be a good person, and you’ll do great. Jill DeWit: And Inspiration, and preaching, that’s me. Sorry. Jack Butala: You can do just about anything you want. Jill DeWit: Sorry. I didn’t mean to go off there. I was coming down from that high. I get ticke off at people taking what we do and turning it all around and not being nice to people. You know what I mean? Jack Butala: It’s just practice. Jill DeWit: Yeah. That’s what we’re here for. Jill DeWit: It’s so sweet. I’m like, “No, no. Go ahead. Sell it. You did great. Okay, perfect. Now do it again. Do it again. Do it again. Do it again.” They’re like, “Really? You don’t …” I’m like, “No, I’m good. Jack Butala: Commission [crosstalk 00:21:56]. Jack Butala: There’s a model … Somebody said it to me recently. Here’s the thing. Jack Butala: Yeah, you buy all this education. You locate the property, then you locate a buyer. There has to be a $20,000 spread for houses, you know. Then, you hand the whole deal over to the person that is teaching this. Then they take like $5,000 and they [crosstalk 00:22:21]. Jill DeWit: Oh, oh, oh, oh. Jack Butala: It’s just … You know what? You don’t learn anything. Jill DeWit: I think I know who you’re talking about, actually. Jack Butala: You don’t learn anything. Jack Butala: How do you learn anything if you’re doing that and someone comes in at the end? You ought to build a business. We want you to do this to the point where you don’t need us anymore. Then that’s it. You go off into the sunset, and make a ton of money, and do stuff. Jack Butala: That’s our whole goal. Jack Butala: This whole thing started as a dot org. Maybe we should bring that back, Jill. Just make the whole thing a dot org. I don’t know. We’ll see. Jill DeWit: No. Then we got to … No, I think it’s perfect the way it is. Jack Butala: You know, I mean nonprofit dot org is what I mean. Jill DeWit: Oh, I got you.